Fitness Challenge Time w/ Giveaways | Come Work That Core! Ok, this fitness challenge is a little last minute, but it has been a busy couple of days with Black Friday, Small Business Saturday and Cyber Monday easing us into the Christmas season. With all of this "good food" (really bad food) that will go into our mouths this holiday season, now is a PERFECT time to start a fitness challenge that leads us into to the 2014 New Year. Don't forget to Buy Skinny Fiber this month, so that you have that awesome product and free weight loss challenge website if you want to really do something awesome for your body this month. 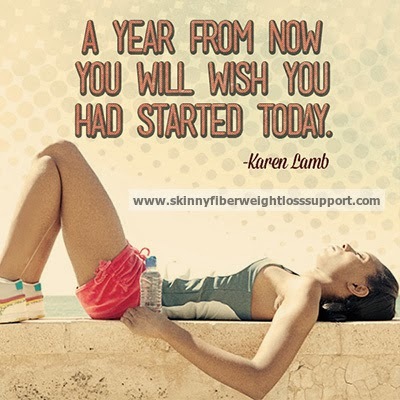 Skinny Fiber, Water, Eating Health, Sleeping Right and Exercise = SLIM NEW YOU! This way, you'll have both the fitness challenge and the weight loss challenge working for you; do one or the other if that is better for you, but both is best if you can! I just want you to join us in the fitness challenge, that cool, too. I have awesome "stocking stuffers" that I am planning as giveaways for you - Just get a bigger stocking!!! What's Skinny Fiber got to do with this challenge? Just keep in mind that with both a fitness challenge and Skinny Fiber, this could very well end up the FIRST YEAR that you actually LOSE WEIGHT AND LOSE INCHES instead of gain weight in December :) Wouldn't that be awesome??? What you need to do for the free fitness challenge! Look for the very first post and read what it says to do (make sure to click the 'Read More' link each day for tips, giveaway announcements and more!). Click LIKE or COMMENT to let us know that you are with us in this fitness challenge and PLEASE CLICK THE SHARE LINK to share this to invite friends to join you. Join either the customer or public group link on the post. I will update it each day, so that we stay on schedule for the fitness challenge instructions. Make sure to read the whole post as that might be a day for a giveaway or some bonus added, plus you will get tips and motivation to push you through. I am planning "just because" Giveaways just because I live to reward people for doing what that need to do to get healthier. It's always nice to have some incentive for your hard work! Look for that friend request from me!!! None of this is worth a bag of beans unless we are honest with ourselves. No one is expecting you to jump in and find this easy ... nor are we expecting that you'll lose all of your weight in one month (well, maybe some of you will). The point is that I do these challenges in good faith and everyone has a fair chance. If you miss a day or can only do 5 of each type of exercise, that is perfectly fine. Just be honest with yourself because we are here to cheer you on and not judge. Please make sure to SHARE THIS BLOG POST by clicking the buttons on the left side of the page or the buttons below, so that we can reach more people to join the challenge and have more fun!!! You can even invite your friends to join with you! I'm looking forward to getting to know you and doing our best with this fitness challenge! Don't forget to add me as a friend at http://www.facebook.com/flwahm to get some healthy recipes, DIY and holiday ideas, fitness and weight loss support!